Looking for Unique Men’s German Fest Suspenders? 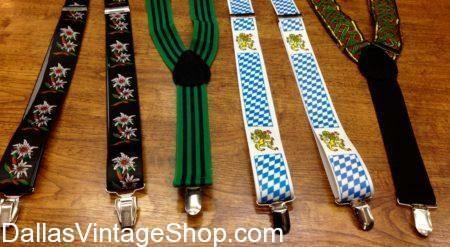 Find economy Suspenders along with One of a Kind to make your German Fest Outfit Complete! Whether you are looking for solid colors or Decorative Designs, Thin or Thick, Dallas Vintage Shop has it all! This entry is filed under German Fest. You can follow any responses to this entry through the RSS 2.0 feed. Both comments and pings are currently closed.